Carpal tunnel syndrome is a disorder of the hand and wrist. The carpal tunnel, a narrow tunnel formed by the bones and tissues of the wrist, protects the median nerve, which controls the movement of the thumb and first three fingers. When the ligaments and tendons in the carpal tunnel become swollen or inflamed, they can press against the nerve, resulting in pain or numbness in the hand, wrist or forearm. Although carpal tunnel syndrome is commonly associated with repetitive motion, it can also be brought on by injury or certain health conditions, such as rheumatoid arthritis. The University of Maryland Medical Center includes wrist circles among its suggested exercises to reduce the risk of carpal tunnel syndrome. Extend your index and middle fingers while closing the other fingers. Rotate your wrists as if you were drawing a circle in the air with the two fingertips. Make five clockwise and five counterclockwise circles; repeat with the other hand. The Arthritis Foundation recommends that you exercise the hand after every 15 minutes of computer mouse use to improve the blood flow in your hand. Make a fist, then slide your fingers to a straightened position. You can also make a fist, then spread your fingers apart as far as you can. Repeat both exercises five to 10 times. Yoga instructor Ellen Serber suggests this thumb stretch exercise: place your right hand palm down on a flat surface. Using your left hand, slowly stretch your right thumb away from the index finger, keeping your other fingers relaxed. Hold for a few seconds before stretching the opposite thumb. Keeping your forearms relaxed helps decrease the tension in your wrists. Stretch these muscles by bringing your hands together in front of your chest, fingers pointing upward in a prayer position. While keeping your palms together, draw your elbows up to forearm level. Hold the stretch for 10 seconds, then gently shake your arms and wrists to loosen them. Your shoulders can carry a great deal of tension, which affects your arms, wrists and fingers. Relax this part of the body by standing in a relaxed position with arms at your side. Shrug your shoulders up, then squeeze them back, stretch them down and finally press them forward. The entire rotation should be done slowly, lasting about 7 seconds. Performing a gentle neck stretch periodically encourages relaxation throughout the body. In an erect sitting position, place your right hand on your left shoulder. Holding your shoulder down, slowly tip your head down and turn it slightly to the right. Hold the stretch for 5 seconds. If desired, the stretch can be increased by turning your head to face the right. Repeat on the other side. 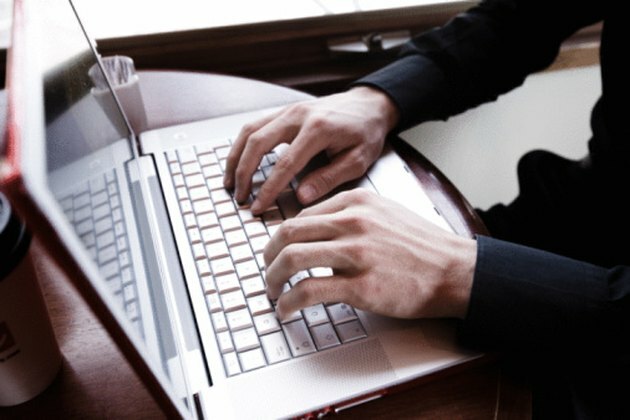 MayoClinic.com warns that although carpal tunnel exercises may be helpful post-surgery or as an adjunct to other therapies, they are unlikely to reduce the pain or numbness caused by this condition. Exercises should not be considered a substitute for medical treatments like surgery or a wrist splint.